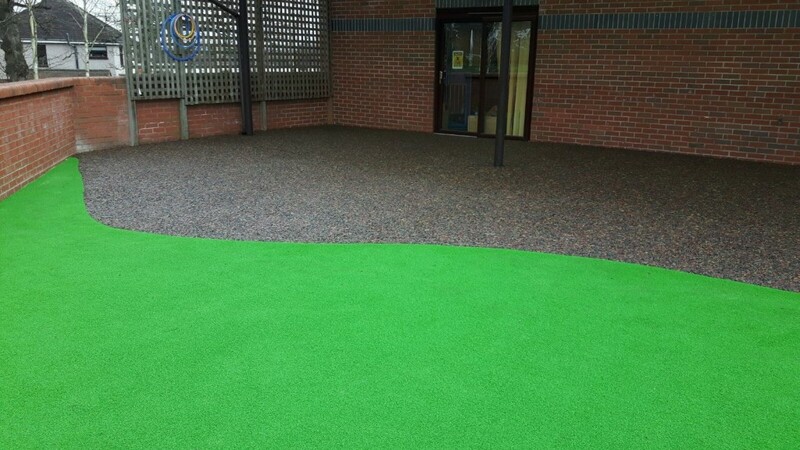 PlaySmart have recently completed surfacing makeovers on outdoor play areas at two Barnardos Centres. On the first, at Atherstone, we decided to use a combination of practical JungleMulch rubber surfacing with artificial grass, in order to create a range of textures and a striking finish. 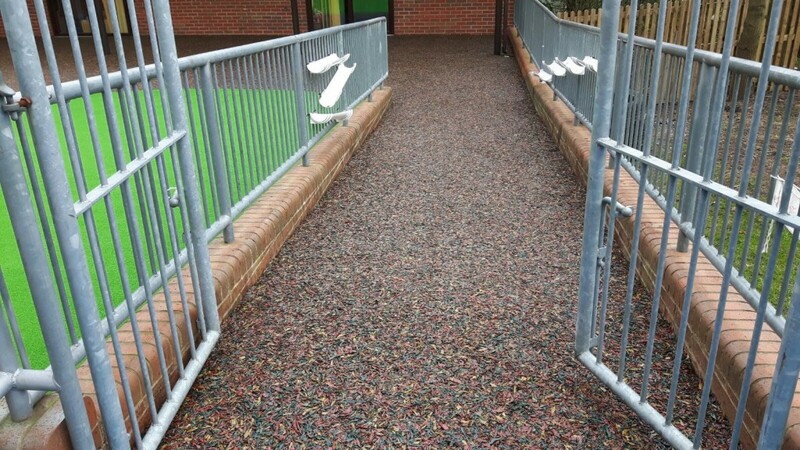 JungleMulch was also the ideal solution for the sloped area running down into the playground, as it’s fully accessible for wheelchairs, buggies and complies with all required British Standards for slip and fall resistance. 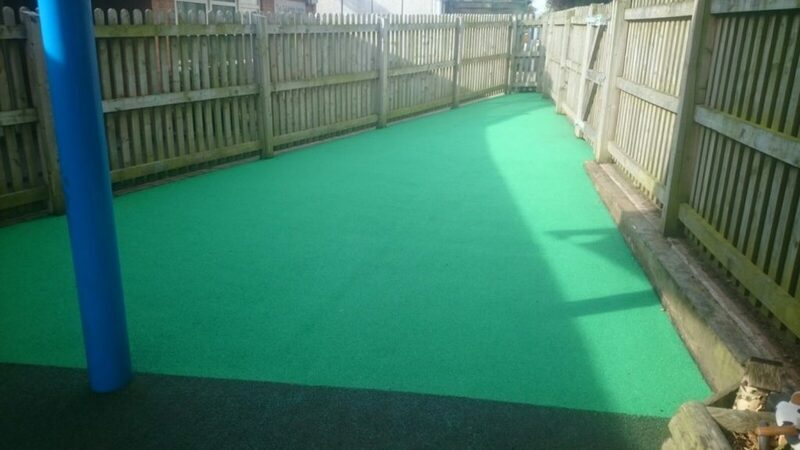 We were then approached by a second centre in Polesworth, who were looking for a soft-fall safety surface for a small existing area. “I would like to pass on our thanks for the amazing job done here at Barnardos North Warwickshire Children’s Centre. Organizing and implementing works to be carried out in a nursery setting can be difficult but with the help and guidance from your team the whole process went without a hitch. The guidance given throughout was invaluable and the works carried out by Steve and his team were done with professionalism and skill. If you’d like advice on the best playground surfaces for your area, please feel free to get in touch! You can reach our experienced team directly on 01564 742 811, or message us via the contact page.